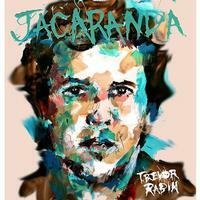 Trevor Rabin returns with the upcoming release of Jacaranda in tow, and it's a heavy load to take in all in one sitting. There are a lot of scents that come from the tree, so he manages to illustrate the title quite well indeed. Most of the work is done by Rabin himself, with the exception of three drummers used on tracks which he opted out of handling the percussion. Those drummers are Vinnie Colaiuta, Lou Molino and Rabin’s son Ryan Rabin. In addition to the guest drummers, it also features both Tal Wilkenfeld (Jeff Beck, Herbie Hancock)on bass for the track “Anerley Road” and Liz Constantine on vocals for the track “Rescue.” After composing many film scores and recording with everyone from his first band Rabbitt, moving onto Yes, and going onto work with everyone from Michael Jackson and Seal, to Tina Turner, Paul Rodgers and Bob Dylan, Trevor Rabin is one musician who has earned the title as one of the premiere guitarists in the world over most of the last 25 years or so. He tends to get a little tired of one form of composing or another and switches it back up out of sheer boredom, but these bouts last for years at one thing or another. On this, his latest outing, he practically outdoes himself once again with another genuine recording that sounds as good ever. Laughter and wisdom never sounded so good together, as he shows them all how it's done. After a breath and an “ok” to start the proceedings, this serves as a nice exercise to warm up the first track, There’s little more before a few breaths of air and a chuckle from Rabin at the end. It is a nice little piece of banjo sounding fills. Listening closely it sounds like a bird is chirping for a second, and the lovely intro comes and goes into a prog delight of a tune. The sound of Rabin's guitar is amazingly exquisite and the arrangement never stands still, going through time changes galore with some excellent percussion to hold it down. Things get downright unreal in parts of this, going from lightning speeds on the guitar and slowing down to flat out fifths of beauty. There are several sections to this piece that all come together so well it's brilliant. This is just a masterstroke to get things fully underway. This is another mad piece of work that is full of familiar melodies and big bass grooves, yet sparkled with subtle motifs throughout. There is a real jazzy feel to this, but that is just the beginning in that area. This involves a few really quiet parts that go down so low you can hear a pin drop before it goes back into full jazz fusion with some fantastic drums and soundscapes. This is beautiful! This builds up from a slow groove into a massive percussion frenzy with all kinds of time signature changes. This features some of the most awesome bass playing to be heard lately, played on this track by Tal Wilkenfeld, who most will recognize from Jeff Beck. This is so far the boiling point, yet so early in the set. It’s just an amazing piece of work that will enormously satisfy every ear that it touches. Speaking of Beck, this track is highly reminiscent of his approach to this type of instrumental rock. Of course, Rabin doesn't stay in one place for long enough to count very far before it turns into a completely different animal. The keyboards figure prominently throughout this number and it doesn't disgrace. In fact, it totally enhances the number with every turn. More soundscapes help round out the track perfectly. This is very trippy stuff indeed, where things get more abstract than anywhere else on offer. This track is inspired by the film The Guardian, which is yet another film I've seen that I had no idea he scored (along with some 39 others under his belt). This features the lovely Liz Constantine on vocals. It's a very light and mystifying tune with one of the most prog elements found on the disc. This is a full on piano track, with Rabin pulling off some fantastic and very commanding work. It’s just a stellar composition that is quite surprising to find in the set, which is, of course, dominated by his guitar work. Once again this is a killer track with lovely acoustic melodies throughout, as it plays rather short but still seems to have quite the wingspan. It’s another mesmerizing track with class written all over it. This is where things get really interesting and rather awe inspiring, with a track that has just about everything from the searing rock runs to more subtle jazzy guitar fills. The keyboards are evenly balanced to make it sound all the more complex, and then there is a spacy vibe to round it all out. It's definitely a peak moment on the disc, and one I won't be able to keep from repeating anytime soon. This is simply another killer composition. If there is one pure jazz moment this would have to certainly be it. I love how the whole thing just cooks along without burning out, like some fresh big band on the scene. It's just the right length for such a number because it might suffer somehow if it were too long. Like everything on offer, it's streamlined so well. This is more cool stuff to go with the rest. Approaching things from a lighter perspective, this tune is not as complex in comparison, but almost airy sounding throughout. It’s not the best track but not the worst either, but just another mellow piece of sweet ear candy. Closing the set with likely the most complex of the lighter arrangements on offer, this features a tad bit of country licking, along with some jazz factors for a very southern feel. There are a few Yes moments on here with some strumming that is very familiar in its beauty. The skill displayed here is second to none and reminds one just why Rabin is one of the finest guitarists on the planet. What an instrumental masterpiece this is that more than competes with any contemporary virtuoso in the business, from Joe Satriani to greats like Jeff Beck himself, Eric Johnson, Steve Morse and so many others. Yet Rabin has a sound and style completely different from anyone, so there is no putting him in the same boat. He stands alone in his genius.